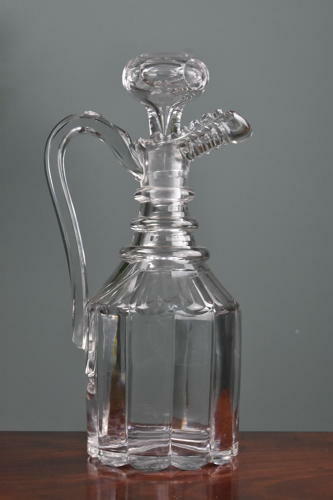 A fine quality, William IV period cut glass claret jug with handle and original stopper. The body of the jug is pillar cut rising to three neck rings and a spout with stepped cutting. The jug remains in excellent condition. English. Circa 1830-35.